Improving SE through AI – including but not limited to knowledge acquisition, knowledge representation, reasoning, agents, machine learning, machine-human interaction, planning and search, natural language understanding, problem solving and decision-making, understanding and automation of human cognitive tasks, AI programming languages, reasoning about uncertainty, new logics, statistical reasoning, etc. Applying AI to SE activities – including but not limited to requirements, design, specification, traceability, program understanding, model-driven development, testing and quality assurance, domain-specific software engineering, adaptive systems, software evolution, etc. SE for AI – including but not limited to AI programming languages, program derivation techniques in AI domains, platforms and programmability, software architectures, rapid prototyping and scripting for AI techniques, software engineering infrastructure for reflective and self-sustaining systems, etc. N. Bencomo, A. Belaggoun and V. Issarny. C. Deiters, A. Rausch and M. Schindler. R. Torres, N. Bencomo and H. Astudillo. Current AISE is too narrow! What was learned? Should there be a RAISE'14? The aim of this workshop is to bring together researchers and industrial practitioners to exchange and discuss the latest innovative synergistic AI and SE techniques and practices. Much of the innovation in the modern world is based on information technologies. Software engineering is now expected to solve a plethora of increasingly complex questions that are dynamic, automated, adaptive, or must execute on a very large scale. Are SE and AI researchers ignoring important insights from AI and SE? To answer this question, RAISE ’13 will be a crossover workshop where the state of the art in both fields is documented and extended. This workshop will explore not only the application of AI techniques to software engineering problems but also the application of software engineering techniques to AI problems. For Day 1 ten position papers will be chosen for 15 minute presentations followed by approximately 5 minutes of critical discussion from the attendees. For Day 2 five vision statements will be chosen for fast presentations to stimulate discussion of a strategic research roadmap. 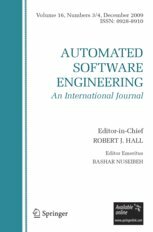 Following the workshop the authors will be invited to extend their position papers into full journal papers, for a Special Issue of Automated Software Engineering. Participation will be sought with the aim of encouraging a selection of about 30 colleagues from the academic, industrial and commercial communities. The interactive nature of the workshop will provide a forum for discussion and debate in order to promote interdisciplinary research between the disciplines. Following presentation of the position papers, the participants will be split into two Working Groups, and each will be given a specific question to focus on, taken from the workshop themes. 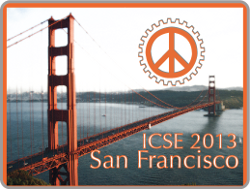 Please submit your IEEE formatted position paper via Easychair. Mark Harman, University College London (UCL), UK. John Clark, University of York, UK. This workshop acknowledges support from NFS grant CCF-.1252577. Any opinions, findings, and conclusions or recommendations expressed in this material are those of the author(s) and do not necessarily reflect the views of the National Science Foundation.